in any way. That’s why at Universal Nissan, we aren’t just a destination to find great deals on new Nissan models; we are your source for expert Nissan car service. As different needs come up during your journey of owning a Nissan Altima or Nissan Pathfinder, we are here to help. Drivers love the reliability of Nissan vehicles, but every car will need some attention to continue running smoothly and efficiently. 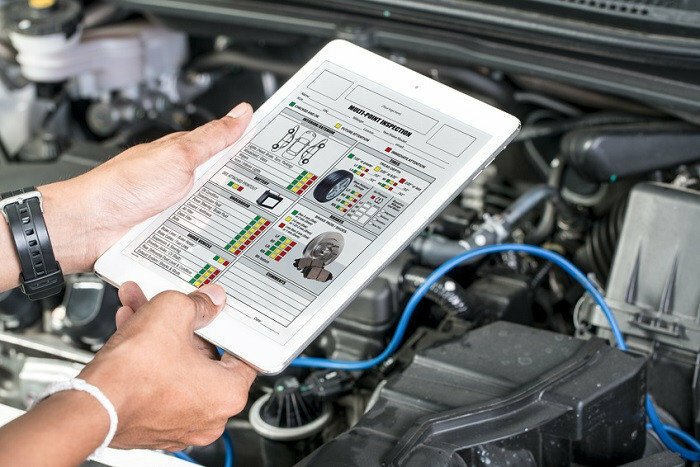 In order to maximize your driving experience and to extend its longevity, various maintenance tasks need to be taken care of. Plus, keeping up with routine service optimizes your safety on the road as well as your efficiency. Our well-trained Nissan auto technicians will be sure to get your car back to you quickly and in excellent shape. Should you need any OEM Nissan parts for repairs, upgrades, or replacements, our technicians can find just what you need and get your parts installed in no time in our expert Nissan service center near Lake Nona. Tires: Your car’s tires take on quite a bit of stress when you’re on the road, which wears down your tread over time and can even affect your tire pressure. Regular tire rotations every 6,000 to 8,000 miles will only help the tread wear evenly, helping you avoid flats while enjoying a smoother, safer ride. Brakes: As the most essential safety system, getting your brakes checked on a regular basis is important. If you notice your vehicle doesn’t stop as easily as it used to, or if you hear screeching or grinding sounds, don’t hesitate to contact our car service center. Fluids: Your transmission relies on fluid to operate efficiently; like other fluids, it needs to be replaced periodically. Our technicians can determine the proper maintenance schedule for your specific car. Other fluids to watch out for include your coolant, oil, and brake fluid. Battery: Your car is able to start and run its electronic components thanks to your battery, and we will make sure it is fully charged by checking the energy level and providing a refresher charge if need be. We’ll also clean off any corrosion. Schedule an appointment to get your Nissan Versa or Nissan Titan serviced at our Orlando, FL auto service center as soon as today!